Data Storage world is filled with a lot of products, solutions and services. Therefore, below is the list of vendors that specialize in storage solutions. Beginning with its registration of the iSCSI.com Internet domain name in March 1996, StoneFly has made iSCSI into a standard which is now used by IT professionals around the world. 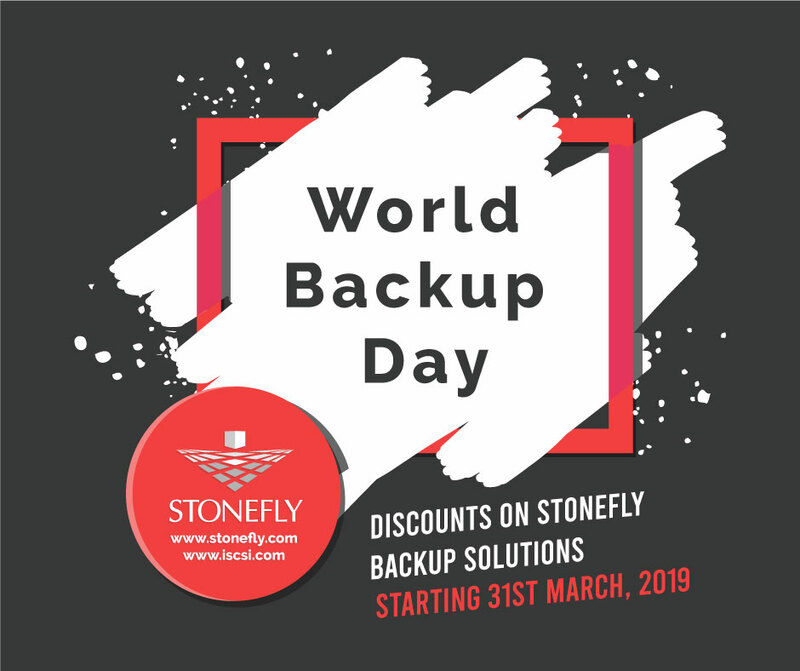 Today, StoneFly is a pioneer in the creation, development and deployment of High-Performance Cluster IP-SAN – Scale out NAS, Virtualization, Hyper-converged, Backup and Disaster Recovery appliances and Cloud Storage as Service solutions. 365Vault provides an enterprise-alternative to personal file sync and share accounts, so your IT controls, protects and owns your data. That means better governance and policy management. Cloud-based accessibility helps assure mobile users get the data they need virtually anytime, anywhere from any device, making sharing and collaboration across teams easier. FTP and email get rolled into one robust solution with no file size restrictions, and scalable cloud storage reduces the need for additional hardware and installation. Microsoft Azure offers a growing collection of integrated cloud-services that IT professionals and developers use to deploy, build and manage applications via a network of global datacenters. With Azure you get the freedom to deploy and build wherever you want, using the applications, tools and frameworks of your choice. Adaptec provides RAID and HBA controllers for SATA, SAS and SCSI Drives. So, proves useful for OEMs offering data storage appliances. Aptare delivers storage reporting capabilities in StorageConsole platform and Capacity manager. Avere Systems offers data storage solutions- mainly flash based systems. BlueArc offers NAS systems delivering data management and storage management solutions. Bridgeworks is a provider of connectivity solutions for data storage. Brocade specializes in enterprise network solutions and provides a portfolio of storage area network products such as storage switches, SAN backbones, SAN directors, Management software, adaptors, SAN fabric applications and routers. Buffalo Technology offers storage, multimedia and wireless networking products and delivers network storage, external storage and internal drives. Chelsio Communications specializes in accelerating network performance in enterprise data centers and other environments. Cisco is a networking solutions provider offering Directors and Modular switches, Fabric and blade server switches, data center SAN management solutions. Data Robotics shortly known as Drobo offers SAN and NAS solutions. Dell and Compellent have combined to provider storage solutions known as Fluid Data. Products include direct attached storage, disk expansion enclosure, disk arrays for clusters, network storage, dell compellent storage center, dell Equalogic storage, Fibre Channel Storage Area Network, iSCSI storage or IP SAN, Network Attached Storage, data protection, disk backup, tape automation and tape drives. D-Link which is basically a networking solutions provider offers data storage related NAS solutions. DotHill is a SAN storage provider which also offers virtual storage appliances, storage software and JBOD expansion arrays. EMC provides a number of business continuity, disaster recovery solutions along with SAN, NAS and big data storage. Emulex delivers a framework that connects servers, networks and storage devices with data center. Enhance Technologies is a provider of hybrid I/O technologies in storage. Falconstor is a storage and backup vendor delivering virtual tape libraries and virtual storage servers. Fujitsu provides storage solutions including disk storage systems, tape systems, data protection solutions, SAN switches and storage software. HP has been offering computing related solutions from years and includes storage products in its product catalog. Storage blades, storage networking, storage software, NAS systems, disk based backup, disk storage systems, information management software, tape storage and media are the products offered in its data storage catalog. Huawei Symantec technologies are a provider of network security and storage solutions which includes SAN, NAS storage along with cloud storage. IBM delivers a number of storage solutions that include disk systems, tape systems, storage area networks, network attached storage, media, management software, archiving and retention, storage solutions. Infortrend offers SAN, DAS and NAS solutions. LSI offers RAID controllers, host bus adapters, JBODs, external storage, SAS switch, solid state storage. Mellanox Technologies provides end to end Infniband and Ethernet connectivity solutions and services for servers and storage. Microsoft delivers Windows Storage Server that provides management of data. At the same time, this software giant also offers cloud storage solutions. Netgear which is a networking solutions provider also offers NAS solutions for home and small business users. QLogic is a dedicated storage networking infrastructure solutions vendor like storage adaptors, routers, switches and ASICs. StoneFly offers a portfolio of IP SAN (iSCSI Storage) solutions which includes Hyper Converged appliances, software defined storage, Super Scale Out NAS, Virtual Storage Appliances, Backup and disaster recovery appliances and cloud integrated iSCSI Storage drives. Also StoneFly is a pioneer in the creation, development and deployment of the iSCSI storage protocol. Symantec which is basically a security software firm also provides storage management software through a number of software products and services. Varaani Works- The Varaani Cloud Hub combines three solutions in one. With the Varaani Cloud Hub you will receive a fast local storage solution combined with online backup and private cloud storage. It’s local storage solution has the highest security features available. The cloud hub is compatible with Windows PC, MAC, iPhone, iPad, Android and offers excellent sharing features. Note- If any companies missing in the list, please mention them along with the related links. After a review by our team, the company name will be added to the above list. Amazon Web Services offers slowest server as a virtual server service! IP Video Surveillance implementation faces bandwidth challenge!